Once your team has been approved for a challenge, and you've paid your entry fee (NB: you can't manage your team details until you've paid) you will be able to add members to your team, and edit any of the information associated with your team. First you'll need to login to the site using the email address you've registered with. Don't worry if you can't remember you password; just follow this link and enter your email address. 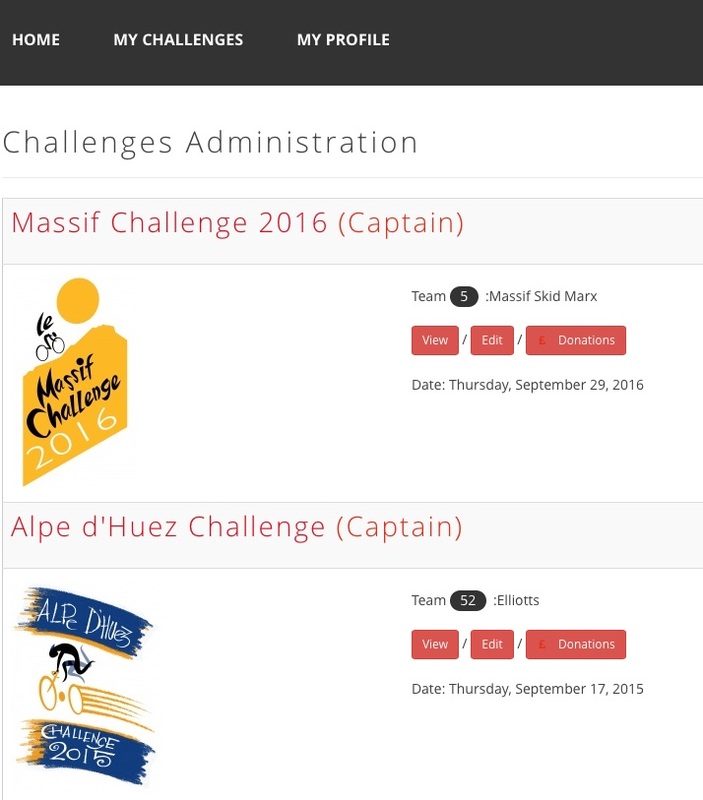 From here, click the "edit" button within the relevant challenge to take you to the team management page. Note: each member of your team will need to enter their own personal details in the "My Profile" section of the site. This will be stored for any future challenges. Important: you must click the "SAVE" button at the bottom of the team page in order for any amendments you make to stick. If your team members have cycled a challenge in the last few years, they should already be registered with CAC. To add them to your team, simply type the first few letters of their name into one of the empty "team members" boxes, and a list of possible matches should pop up. Select the right one (we've included email addresses here to make it easier), and once you've saved your changes they will receive an email to let them know they've been added to your team. If one or more of your team aren't already a member of CAC, you'll need to know their email address to add them to your team. Select the "Invite New Members" link at the bottom right of the team members section, and enter in their name and email address in the form given. Once you submit the form, they'll be automatically added to your team, and will receive an email with their login details.